Pre -weekend night is here, warm up yourself for the upcoming weekend – Shake it all night long with the beats of the 90’s. Club Shake ‘n’ Shake is going to be on fire tonight. It’s time for thursday party called ” White Shinning Stars “. Awesome resident DJs Cholak and Marchez will bring you back to the future till the morning hours. By day, this club is beautiful lounge where you can relax. Taste some of the best and refreshing shakes while lying on easy chair made out of reed and enjoying amazing and relaxing day in the most beautiful part of the Belgrade. Although the days at Shake ‘n’ Shake are peaceful, after the sunset atmosphere starts to warm up. Extremely good energy contributed by top DJs or bands that perform here will set you in the right mood. 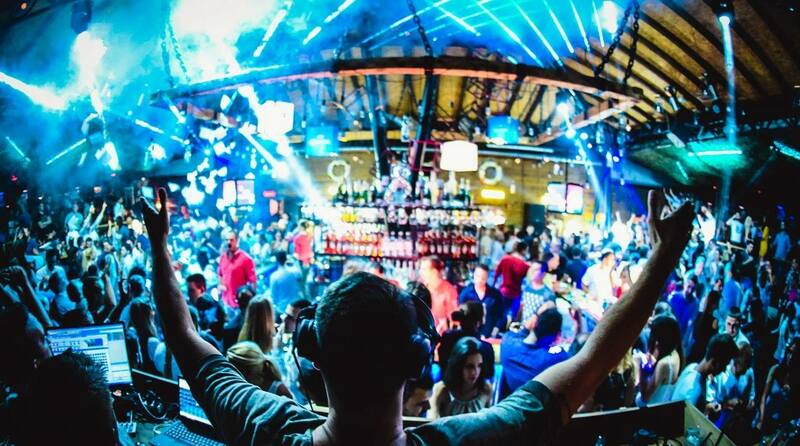 One of the most popular things to do in Belgrade is definitely clubbing. Belgrade nightlife never stops, every night of a week you can find several clubs with great parties.